South Africa has a highly competitive medical aid industry. There are dozens of open medical aid schemes in the country, all vying for a share of the market – which currently consists of only about six million existing medical aid members and their dependents. This competition has a positive spin-off for hard-pressed consumers on a quest for cheap medical aid in South Africa. 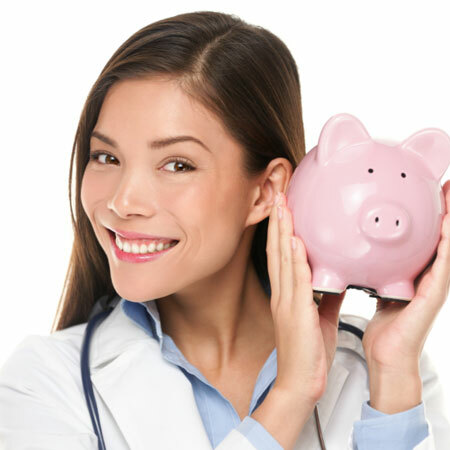 Providers are paring down their medical aid plans to the bare minimum so as to attract and retain new members and build cash reserves. Top-ranked medical schemes offer a range of options, including income-based plans, straight hospital plans, hospital plans with savings and comprehensive plans that cover both in-hospital and day-to-day expenses. All provide cheap medical aid in the form of entry-level options. What constitutes cheap medical aid cover? Cut-price medical aid usually translates to nominal day-to-day benefits. Generally limits, or the maximum benefits paid to members for out-of-hospital expenses, are on the low side. In practice, this means that cheap medical aids usually cover only a portion of what healthcare providers such as doctors, physiotherapists, optometrists and pathologists actually charge. A member will be expected to pay the difference from personal funds. Typically cheaper medical aid cover is suitable for young, generally healthy individuals who visit GPs and other healthcare professionals only on an occasional basis. Bonitas BonCap - contributions from R555 per month. day-to-day benefits at network providers. Fedhealth Maxima Entry Zone - contributions from R883 per month. trauma treatments at a casualty ward, whether admitted or not. Discovery KeyCare Core - income-based contributions from R511 per month. specialist benefits at network providers. our online comparison tool to evaluate the benefits and contributions associated with similar medical aid products. Once you’ve identified cheap medical aid cover that’s suitable given your healthcare requirements, you can request competitive medical aid quotes directly from our site. Or, if you’d prefer one of our consultants to help you find the cheapest medical aid for your specific requirements then contact us now.